"This is the meatiest, most thought-provoking class I’ve taken. Very interactive. I’ve taken away a lot of information to process!" "The workshop served as a compass in showing me the direction the board needs to take in organizational development." Today a nonprofit board of directors must be engaged and knowledgeable. How well their nonprofit performs depends upon the board and staff developing a strong governance and management culture. Assessment and training are vital to establishing and sustaining strong, accountable, and knowledgeable board members and staff. By assessing their organization and themselves, nonprofit board members and staff improve their capacity to benefit those they serve. Marty can use a variety of assessment tools to help your board of directors and senior management build a better performing nonprofit. 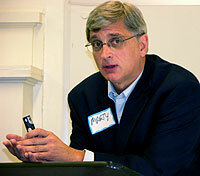 Marty provides information packed and interactive board workshops and training. Provided either through an individual session or in a series his workshops are designed to strengthen the board and organization’s capacity. Board Orientation - Board members coming on a new board of directors will benefit significantly from a structured orientation on their expectations and roles and responsibilities related to their service as a new board member. Working with the current senior leadership this workshop will provide a structured orientation shaped to the needs of their board which will help new board members hit the ground running in their new board assignments. Board Governance - A board of directors has increasing accountability and legal responsibility for the nonprofit and its actions. This workshop provides a substantive overview for the new and experienced board member and senior management in the evolving legal and governance management. Board Governance: Linking Performance and Prestige - Increasing accountability require a board and senior management to manage their nonprofit effectively. This workshop will introduce participants to the concepts of a Balanced Scorecard as a management and governance model to map strategy and to establish a high performing organization. S.O.A.R. - To Develop a Strong Board - Developing a strong board requires careful consideration of who serves on the board. This workshop provides a four step process to develop a stronger and more effective board of directors. Planning and Implementation - Boards and staff must plan and implement. This workshop provides the opportunity for the board and staff to do both. 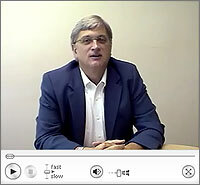 Upon request, Marty can also provide customized training on issues relevant to a nonprofit. In some instances, training can be delivered through a webinar which may benefit small and mid-sized nonprofits located outside of the Research Triangle Park, North Carolina. Contact him to discuss your organization’s particular needs. 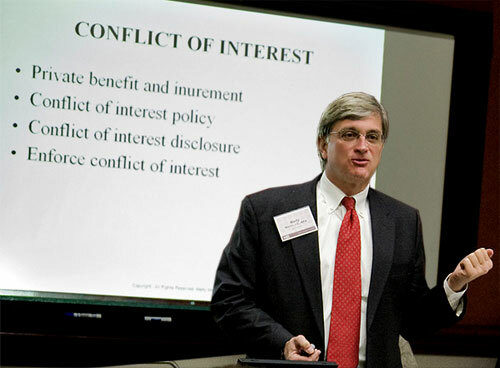 “Duties and Liabilities of Nonprofit Boards and Officers.” North Carolina State University. Raleigh, North Carolina. October 2018. “Legal and Regulatory Compliance.” North Carolina State University. Raleigh, North Carolina. March 2018. “Marketing or Managing? Considerations for a Lawyer Serving on a Nonprofit Board.” Festival of Legal Learning. University of North Carolina School of Law. Chapel Hill, North Carolina. February 2018. “Nonprofits and How They Operate.” Cameron Foundation. Petersburg, Virginia. February 2018. “Board Governance.” Telamon Corporation. Raleigh, North Carolina. February 2018. “Board Governance: Linking Performance and Prestige.” Duke University Nonprofit Management Program. Durham, North Carolina. November 2017. “Board Governance for Nonprofits.” Greater Greenville Community Foundation. Greenville, North Carolina. October 2017. “Cultivating Effective Relations with the Board of Directors.” Executive Certificate in Nonprofit Leadership. Duke University Nonprofit Management Program. Durham, North Carolina. October 2017. “Board Development and Governance.” Duke University Certificate Program in Nonprofit Management. Durham, North Carolina. September 2017. “Board Development and Governance.” Nonprofit Management Intensive Track Program. Duke University Certificate Program in Nonprofit Management. Durham, North Carolina. September 2017. “Ethical Issues in Nonprofit Management.” Danville Regional Foundation. Danville, Virginia. July 2017. “Board Development and Governance.” Nonprofit Management Intensive Track Program. Duke University Certificate Program in Nonprofit Management. Durham, North Carolina. June 2017. “Board Governance: Linking Performance and Prestige.” Duke University Nonprofit Management Program. Durham, North Carolina. May 2017. “Board Development and Governance.” Nonprofit Management Intensive Track Program. Duke University Certificate Program in Nonprofit Management. Charlotte, North Carolina. May 2017. “Nonprofit Organizations: Concepts, Components, and Background.” Danville Regional Foundation. Danville, Virginia. April 2017. “Board Development and Governance.” Duke University Certificate Program in Nonprofit Management. Durham, North Carolina. April 2017. “Board Development and Governance.” Nonprofit Management Intensive Track Program. Duke University Certificate Program in Nonprofit Management. Durham, North Carolina. March 2017. “Board Governance and Leadership.” Leadership Fuquay-Varina. Fuquay-Varina Chamber of Commerce. Fuquay-Varina, North Carolina. December 2016. “Board Governance: Linking Performance and Prestige.” Duke University Nonprofit Management Program. Durham, North Carolina. December 2016. “The Board/Staff Partnership: How to Share Leadership and Get Results.” BoardSource. Cary, North Carolina. October 2016. “Cultivating Effective Relations with the Board of Directors.” Executive Certificate in Nonprofit Leadership. Duke University Nonprofit Management Program. Durham, North Carolina. October 2016. “Board Development and Governance.” Duke University Certificate Program in Nonprofit Management. Durham, North Carolina. October 2016. “Board Development and Governance.” Nonprofit Management Intensive Track Program. Duke University Certificate Program in Nonprofit Management. Durham, North Carolina. September 2016. “Board Development and Governance.” Nonprofit Management Intensive Track Program. Duke University Certificate Program in Nonprofit Management. Durham, North Carolina. June 2016. “Nonprofit Board Development and Governance.” Danville Regional Foundation. Danville, Virginia. June 2016. “Board Governance: Linking Performance and Prestige.” Duke University Nonprofit Management Program. Durham, North Carolina. May 2016. “Board Development and Governance.” Nonprofit Management Intensive Track Program. Duke University Certificate Program in Nonprofit Management. Charlotte, North Carolina. May 2016. “Board Development and Governance.” Nonprofit Management Intensive Track Program. Duke University Certificate Program in Nonprofit Management. Durham, North Carolina. March 2016. “Board Development and Governance.” Duke University Certificate Program in Nonprofit Management. Durham, North Carolina. March 2016. Board Workshop. Animal Protection Society of Durham. Durham, North Carolina. February 2016. “Board Leadership and Governance.” Leadership Fuquay-Varina. Fuquay-Varina Chamber of Commerce. Fuquay-Varina, North Carolina. December 2015. “Board Governance: Linking Performance and Prestige.” Duke University Nonprofit Management Program. Durham, North Carolina. November 2015. “Board Governance for Nonprofits.” Greater Greenville Community Foundation. Greenville, North Carolina. October 2015. “Board Development and Governance.” Duke University Certificate Program in Nonprofit Management. Durham, North Carolina. October 2015. “Cultivating Effective Relations with the Board of Directors.” Executive Certificate in Nonprofit Leadership. Duke University Nonprofit Management Program. Durham, North Carolina. October 2015. “Nonprofit Board Development and Governance.” The Harvest Foundation. Martinsville, Virginia. September 2015. “Board Development and Governance.” Nonprofit Management Intensive Track Program. Duke University Certificate Program in Nonprofit Management. Durham, North Carolina. September 2015. “Nonprofit Board Development and Governance.” Danville Regional Foundation. Danville, Virginia. June 2015. “Board Development and Governance.” Nonprofit Management Intensive Track Program. Duke University Certificate Program in Nonprofit Management. Durham, North Carolina. June 2015. “Board Governance: Linking Performance and Prestige.” Duke University Nonprofit Management Program. Durham, North Carolina. May 2015. “Board Development and Governance.” Nonprofit Management Intensive Track Program. Duke University Certificate Program in Nonprofit Management. Charlotte, North Carolina. May 2015. “The 3Gs – Give, Get, and Get Off from a Board Member’s Perspective.” AFP International Fundraising Conference. Association of Fundraising Professionals. Baltimore, Maryland. March 2015. “Board Development and Governance.” Nonprofit Management Intensive Track Program. Duke University Certificate Program in Nonprofit Management. Durham, North Carolina. March 2015. “Board Development and Governance.” The Cameron Foundation. Petersburg, Virginia. March 2015. “What Does the Nonprofit Governance Board Really Do?” BoardSource Basic Board Roles & Responsibilities. Telamon Corporation. Raleigh, North Carolina. March 2015. “Board Governance: Linking Performance and Prestige.” Friends of the Wake County Soil and Water Conservation District, Inc. Raleigh, North Carolina. January 2015. “Advocacy and Lobbying for Nonprofit Boards of Directors.” Board of Directors Workshop. Danville Regional Foundation. Danville, Virginia. December 2014. “Board Leadership and Governance.” Leadership Fuquay-Varina. Fuquay-Varina Chamber of Commerce. Fuquay-Varina, North Carolina. December 2014. “Board Governance: Linking Performance and Prestige.” Duke University Nonprofit Management Program. Durham, North Carolina. November 2014. “Cultivating Effective Relations with the Board of Directors.” Executive Certificate in Nonprofit Leadership. Duke University Nonprofit Management Program. Durham, North Carolina. October 2014. “Accountability and Effectiveness.” Management of Nonprofit Organizations. North Carolina State University. September 2014. “Board Governance and Development.” Nonprofit Capacity Building Program. Danville Regional Foundation and Harvest Foundation. Martinsville, Virginia. September 2014. “ACT Recommendations on Unrelated Business Taxable Income.” Taxation Section. District of Columbia Bar Association. September 2014. “Board Development and Governance.” Nonprofit Management Intensive Track Program. Duke University Certificate Program in Nonprofit Management. Durham, North Carolina. September 2014. “Board Governance and Development.” Nonprofit Management Intensive Program. Danville Regional Foundation and Harvest Foundation. Martinsville, Virginia. June 2014. “Board Development and Governance.” Nonprofit Management Intensive Track Program. Duke University Certificate Program in Nonprofit Management. Durham, North Carolina. June 2014. “Board Governance: Linking Performance and Prestige.” Certificate Program. Duke University Nonprofit Management program. Durham, North Carolina. May 2014. “A Volunteer’s Perspective on Finance and Development.” Development and Finance Symposium. Center for Philanthropy and Nonprofit Leadership and Association for Fundraising Professionals International. Rice University. Houston, Texas. May 2014. “Association Governance: Is Learning Your Core Competency?” Annual meeting. National Association of Elementary School Principals. National Association of Secondary School Principals. Charlotte, North Carolina. May 2014. “Board Development and Governance.” Nonprofit Management Intensive Track Program. Duke University Certificate Program in Nonprofit Management. Charlotte, North Carolina. May 2014. “Professor Martin’s class has been one of the most challenging classes I’ve ever taken in the past four years. In my undergrad career, I have been able to halfway read or study and somehow managed to get through each course. However, I walked out of his classroom on the first day feeling ignorant and unprepared after discussing the case study. I realized this is how so many people meander through life. They are ignorant of the issues, suffering, and injustice that goes on around them, so they choose to walk through life doing nothing meaningful. “I knew this classroom was essentially practice in how I was going to live my life. Perhaps it was even practice for sitting on a nonprofit board. I do not want to live my life without being knowledgeable or caring about the issues at hand. After the first day, I made a conscious effort to never enter the classroom again, unless I was fully prepared and willing to work hard. “The two courses that influenced me as a leader the most were COM 466 [Nonprofit Leadership and Development] and NPS 498 [Capstone Seminar in Nonprofit Studies]. NPS 498 is a challenging class. The structure of this class pushed me to be more detail-oriented and become a critical thinker. “Capstone Seminar for Nonprofit Minors.” Lecturer. Institute for Nonprofits. North Carolina State University. Academic year 2013-14. “How to Start a Nonprofit.” Small Business Center. Durham Technical Community College. Durham, North Carolina. April 2014. “Board Governance.” Boys and Girls Clubs of the Danville Area. Danville, Virginia. March 2014. “Community Leaders Beware: Know the Liabilities You May Face as Volunteers for Non-Profit Service Organizations.” Bank Directors Assembly 2014. North Carolina Bankers Association. Greensboro, North Carolina. March 2014. “Roles and Responsibilities of the Nonprofit Board.” Duke Nonprofit Management Board of Directors Training. Danville Regional Foundation. Danville, North Carolina. December 2013. “Board Governance for Nonprofits.” Duke Nonprofit Management Board of Directors Training. Danville Regional Foundation. Danville, North Carolina. December 2013. “North Carolina’s Agricultural Leaders: Board Governance and Leadership.” CALS Agricultural Leadership Development Program. NC Agricultural Foundation, Inc. and College of Agriculture and Life Sciences, North Carolina State University. Raleigh, North Carolina. November 2013. “Board Duties and Strategy.” Phoenix Community Development Corporation. Martinsville, Virginia. November 2013. “Board Governance for Nonprofits.” Greater Greenville Community Foundation. Greenville, North Carolina. October 2013. “Open Data in the Nonprofit Sector.” Panelist. 2013 NASCO Conference. National Association State Charity Officials and National Association of Attorneys General. Silver Spring, Maryland. October 2013. “Board Development and Governance.” Nonprofit Management Intensive Track Program. Duke University Certificate Program in Nonprofit Management. Durham, North Carolina. September 2013. “Representing Nonprofits and Serving on Boards.” Wake County Bar Association. Raleigh, North Carolina. June 2013. “Board Development and Governance.” Nonprofit Management Intensive Track Program. Duke University Certificate Program in Nonprofit Management. Durham, North Carolina. June 2013. “Board Development and Governance.” Nonprofit Management Intensive Track Program. Duke University Certificate Program in Nonprofit Management. Durham, North Carolina. April 2013. “Board Governance: Linking Performance and Prestige.” Duke University Certificate Program in Nonprofit Management. Greenville, North Carolina. April 2013. “Board Development and Governance.” Nonprofit Management Intensive Track Program. Duke University Certificate Program in Nonprofit Management. Danville, Virginia. April 2013. “Board Development and Governance.” Duke University Certificate Program in Nonprofit Management. Durham, North Carolina. March 2013. “Starting a Nonprofit – Step by Step.” Webinar. Philanthropy Journal. Raleigh, North Carolina. March 2013. “Board Development and Governance..” Nonprofit Management Intensive Track Program. Duke University Certificate Program in Nonprofit Management. Durham, North Carolina. March 2013. “Integrating Ethical Practices Into Your Organization.” Panelist moderator. Association of Fundraising Professionals Triangle Chapter. Research Triangle Park, North Carolina. February 2013. “Board Governance: Linking Performance and Prestige.” Duke University Nonprofit Management program. Elon University. Elon, North Carolina. February 2013. “Lawyers on Nonprofit Boards.” Festival of Legal Learning. University of North Carolina School of Law. Chapel Hill, North Carolina. February 2013. “Fundraising: Law and Ethics.” Essentials of Fundraising for Leaders in Public and Nonprofit Institutions graduate seminar. North Carolina State University. Raleigh, North Carolina. February 2013. “Merger or Dissolution Case Study.” Leadership in the Public and Nonprofit Sector Capstone Seminar. North Carolina State University. Raleigh, North Carolina. February 2013. “Community Nonprofit Organization, Inc. Case Study.” Nonprofit Budgeting and Financial Accounting graduate seminar. North Carolina State University. Raleigh, North Carolina. February 2013. “Advocacy and Lobbying.” Duke Nonprofit Management Certificate Program. Durham, North Carolina. January 2013. “Board Culture: How to Prevent a Shift in the Wrong Direction.” Webinar 201. BoardSource. Washington, D.C. January 2013. “Fundraising Law and Regulations.” Nonprofit Master’s Degree Program. High Point University. High Point, North Carolina. November 2012. “Community Nonprofit Organization, Inc. Case Study.” Capstone in Nonprofit Studies' Seminar. North Carolina State University Institute for Nonprofits. Raleigh, North Carolina. November 2012. “Board Governance and Development.” Duke Nonprofit Management Certificate Program in Nonprofit Management. Durham, North Carolina. September 2012. “Board Development and Governance.” Nonprofit Management Intensive Track Program. Duke University Certificate Program in Nonprofit Management. Durham, North Carolina. September 2012. “Advocacy.” The Harvest Foundation and Danville Regional Foundation. Martinsville, Virginia. August 2012. “What If?” Be the Change. 8th Annual North Carolina Philanthropy Conference. Association of Fundraising Professionals. Greensboro, North Carolina. August 2012. “Advocacy and Lobbying” and “IRS 990 Form.” Duke Nonprofit Management Certificate Program. Greenville, North Carolina. August 2012. “Duties and Responsibilities of Nonprofit Board Members.” Phoenix Community Development Corporation. Martinsville, Virginia. July 2012. “Board Development and Governance.” Nonprofit Management Intensive Track Program. Duke University Certificate Program in Nonprofit Management. Durham, North Carolina. June 2012. “Board Development and Governance.” Nonprofit Management Intensive Track Program. Duke University Certificate Program in Nonprofit Management. Durham, North Carolina. March 2012. “U.S. Nonprofits: An Overview of Legal and Regulatory Systems.” Civil Affairs Administration Training Program. Ministry of Civil Affairs of the People’s Republic of China and North Carolina State University Institute for Nonprofits. Raleigh, North Carolina. February 2012. “The New Landscape of Nonprofit Leadership.” National Conference. North American Conference of Lions Foundations. New Orleans, Louisiana. February 2012. “Serving on a Nonprofit Board.” Fuqua on Board. Center for the Advancement of Social Entrepreneurship. The Fuqua School of Business. Duke University. Durham, North Carolina. February 2012. “Lawyers on Nonprofit Boards.” Festival of Learning. University of North Carolina School of Law. Chapel Hill, North Carolina. February 2012. “Board Development and Governance.” Duke University Certificate Program in Nonprofit Management. Greenville, North Carolina. December 2011. “Starting a Nonprofit?” Duke University Certificate Program in Nonprofit Management. Durham, North Carolina. December 2011. “Board Development and Governance.” Duke University Certificate Program in Nonprofit Management. Durham, North Carolina. November 2011. “Volunteer Management 101.” Panelist. “The ABC’s of Volunteer Management”. North Carolina Central University Social Entrepreneurship Collaborative. Durham, North Carolina. November 2011. “Nuts and Bolts of a U.S. Nonprofit.” Strategic Visioning Training for Lebanon’s Civil Society. North Carolina State University Institute for Nonprofits. Raleigh, North Carolina. September 2011. “Why Nonprofits Matter: A Need for Nonprofit Sector Capacity Building.” Panelist. University Health Systems. Greenville, North Carolina. September 2011. “Board Governance & Multiple Entities.” Easter Seals United Cerebral Palsy. Raleigh, North Carolina. September 2011. “Nonprofit Organizations - Concepts, Components, and Culture.” Nonprofit Management Intensive Track Program. Duke University Certificate Program in Nonprofit Management. Durham, North Carolina. September 2011. “Nonprofits 101.” Duke University Certificate Program in Nonprofit Management. Durham, North Carolina. August 2011. “Social Enterprise: Expanding Philanthropy’s Boundaries.” The New Face of Philanthropy: Building for the Future. 7th Annual NC Philanthropy Conference. Research Triangle Park, North Carolina. August 2011. “When Raising Money, 10 Legal Matters to Avoid.” Web audio conference. Association of Fundraising Professionals. Arlington, Virginia. July 2011. “Fundraising: Law and Ethics.” North Carolina State University. July 2011. “Nonprofit Organizations - Concepts, Components, and Culture.” Nonprofit Management Intensive Track Program. Duke University Certificate Program in Nonprofit Management. Durham, North Carolina. June 2011. “Starting a Nonprofit.” Wake County Public Library. Raleigh, North Carolina. May 2011. “Board Governance: Linking Performance and Prestige.” Duke University Certificate Program in Nonprofit Management. Durham, North Carolina. May 2011. “Changing Expectations for Board Governance.” and “SOAR- Bedrock for Board Development.” National Conference. North American Conference of Lions Foundations. Charleston, South Carolina. April 2011. “Nonprofit Organizations - Concepts, Components, and Culture.” Danville Regional Foundation and The Harvest Foundation. Danville, Virginia. April 2011. “Nonprofit Organizations - Concepts, Components, and Culture.” Duke University Certificate Program in Nonprofit Management. Durham, North Carolina. April 2011. “Serving on a Homeowner Association Board.” Country Club Heights Homeowner’s Association. Durham, North Carolina. March 2011. “Board Governance and Orientation.” Hughes Memorial Foundation. Danville, Virginia. March 2011. “Nonprofits: Advocacy and Lobbying.” Elon University. Elon, North Carolina. March 2011. “Nonprofit Organizations - Concepts, Components, and Culture.” Nonprofit Management Intensive Track Program. Duke University Certificate Program in Nonprofit Management. Durham, North Carolina. March 2011. “Social Enterprise: Business, Nonprofit, and Hybrid Organizations.” Fourth Sector Cluster Initiative. Research Triangle Park, North Carolina. March 2011. “Merger or Dissolution Case Study.” Capstone in Nonprofit Studies' Seminar. North Carolina State University. Raleigh, North Carolina. February 2011. “Emerging Forms of Social Enterprise.” 21st Annual Festival of Learning. University of North Carolina School of Law. Chapel Hill, North Carolina. February 2011. “Advocacy & Lobbying.” Duke University Certificate Program in Nonprofit Management. Durham, North Carolina. January 2011. “Fundraising, Law Ethics and Practice.” Duke University Certificate Program in Nonprofit Management. Durham, North Carolina. December 2010. “Board Governance: Linking Performance & Prestige.” Duke University Certificate Program in Nonprofit Management. Durham, North Carolina. December 2010. “Practical Fun(d) Raising for Boards and Staff.” Durham Technical Community College. Durham, North Carolina. December 2010. “Nonprofit Organizations - Concepts, Components, and Culture.” Community Developers of Beaufort-Hyde, Inc. Williamston, North Carolina. November 2010. “21st Century Governance for Nonprofits.” Danville Regional Foundation and The Harvest Foundation. Danville, Virginia. October 2010. “Emerging Issues in the Nonprofit Legal Landscape.” Executive Certificate in Nonprofit Management Leadership. Duke University. October 2010. “Nonprofit Organizations - Concepts, Components, and Culture.” Nonprofit Management Intensive Track Program. Duke University Certificate Program in Nonprofit Management. Durham, North Carolina. September 2010. “Nonprofit Organizations - Concepts, Components, and Culture.” Nonprofit Management Intensive Track Program. Duke University Certificate Program in Nonprofit Management. Durham, North Carolina. June 2010. “Starting a Nonprofit.” Wake County Public Library. Raleigh, North Carolina. May 2010. “How to Start a Nonprofit.” – DukeEngage Academy. Duke University Center for Civic Engagement. May 2010. “Fundraising: Law, Ethics and Practice.” Duke University Certificate in Nonprofit Management. Durham, North Carolina. April 2010. “Legal Issues and Nonprofit Organizations.” New College Institute. Martinsville, Virginia. April 2010. “Board Governance: Linking Performance and Prestige.” Quality Enhancement for Nonprofit Organization’s program. University of North Carolina-Wilmington. Wilmington, North Carolina. April 2010. “Transparency in Government- The New 990 IRS Form.” Duke University Certificate in Nonprofit Management. Durham, North Carolina. April 2010. “Legal Issues in Nonprofit Management.” Duke University Certificate Program in Nonprofit Management. Greensboro, North Carolina. April 2010. “SOAR: To Develop A Strong Board.” Duke University Certificate in Nonprofit Management. Greensboro, North Carolina. April 2010. “SOAR: To Develop A Strong Board.” Duke University Certificate in Nonprofit Management. Durham, North Carolina. March 2010. “Mapping Strategy and Governance.” “Navigating in a Sea of Change” Annual Conference. South Carolina Association of Nonprofit Organizations. Hilton Head, South Carolina. March 2010. “SOAR – To Develop a Strong Board.” “Navigating in a Sea of Change” Annual Conference. South Carolina Association of Nonprofit Organizations. Hilton Head, South Carolina. March 2010. 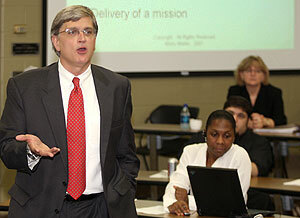 “Legal Issues and Nonprofit Organizations.” Nonprofit Management Intensive Track Program. Duke University Certificate Program in Nonprofit Management. Durham, North Carolina. March 2010. “Board Governance and Orientation.” Independent Insurance Agents of North Carolina. Cary, North Carolina. February 2010. “Board Governance: Linking Performance and Prestige.” Duke University Certificate Program in Nonprofit Management. Durham, North Carolina. December 2009. “SOAR - To Develop A Strong Board.” Duke University Certificate Program in Nonprofit Management. Durham, North Carolina. December 2009. “Board Orientation and Governance.” Citizens Assisting Police. Cary, North Carolina. December 2009. “Transparency in Government- The New 990 IRS Form.” Duke University Certificate in Nonprofit Management. Durham, North Carolina. November 2009. “Board Governance: Growing the Nonprofit.” Agricultural Leadership Institute. North Carolina State University. Raleigh, North Carolina. November 2009. “Board Orientation and Governance.” First In Families of North Carolina. Durham, North Carolina. October 2009. “How To Keep Tax Exempt Organizations in Compliance.” National Business Institute. Raleigh, North Carolina. September 2009. “Fundraising-Law and Ethics.” North Carolina State University. Raleigh, North Carolina. September 2009. “Board Governance: Linking Performance and Prestige.” The Harvest Foundation. Martinsville, Virginia. September 2009. “Legal Considerations for Board Governance.” Danville Regional Foundation. Danville, Virginia. August 2009. “Top Legal Trends that Associations Should Care About.” Association Executives of North Carolina. Research Triangle Park, North Carolina. July 2009. “Legal Issues in Nonprofit Management.” Nonprofit Management Intensive Track Program. Duke University Certificate Program in Nonprofit Management. Durham, North Carolina. June 2009. “Crossing Sector Boundaries: Nonprofits Operating in a For Profit World.” 2009 Not-for-Profit Accounting Conference. North Carolina Association of Certified Public Accountants. Cary, North Carolina. May 2009. “Starting a Nonprofit—What You Need To Know.” Web based “Live Discussions” series. The Chronicle of Philanthropy. Tuesday, May 12, 2009, at 12 noon Eastern Standard Time. “Board Governance: Linking Performance and Prestige.” Duke University’s Certificate Program in Nonprofit Management. Durham, North Carolina. May 2009. “Transparency in Governance and Management--The New 990 IRS Form.” Danville Regional Foundation. Danville, Virginia. March 2009. “Governing the Nonprofit Organization: What You Need to Know.” National Business Institute. Raleigh, North Carolina. March 2009. “Legal Issues in Nonprofit Management.” Nonprofit Management Intensive Track Program. Duke University’s Certificate Program in Nonprofit Management. Durham, North Carolina. March 2009. “Nonprofits and Advocacy.” Elon University. Greensboro, North Carolina. March 2009. “Creating the Nonprofit.” Small Business Center. Durham Technical Community College. Durham, North Carolina. February 2009. “Starting a Nonprofit?” Duke University’s Certificate Program in Nonprofit Management. Durham, North Carolina. February 2009. “SOX and Docs: Information Rules.” ARMA International --Triangle Chapter. Raleigh, North Carolina. February 2009. “Board Governance: Linking Performance and Prestige.” Duke University’s Certificate Program in Nonprofit Management. Durham, North Carolina. December 2008. Martin's podcast on "The Role of Mission"
“Legal Considerations for Board Governance.” Duke University's Certificate Program in Nonprofit Management. Durham, North Carolina. December 2008. “S.O.A.R.--To Develop a Strong Board.” Duke University's Certificate Program in Nonprofit Management. Durham, North Carolina. December 2008. “The New 990--Transparency in Governance and Management.” National Teleconference Seminar. National Business Institute. Altoona, Wisconsin. October 2008. “Board Basics: Governance and Management.” Offering Aid & Hope in Difficult Times National Conference. Children of Chernobyl U.S. Alliance. Raleigh, North Carolina. October 2008. “The Developing Theatre Forum.” Panelist. National Conference on Outdoor Drama. Institute of Outdoor Drama. University of North Carolina. Chapel Hill, North Carolina. October 2008. “Advocacy and Lobbying.” Duke University’s Certificate Program in Nonprofit Management. Durham, North Carolina. September 2008. “An Introduction to the New 990 Form.” North Carolina Homebuilder's Association. Charlotte, North Carolina. September 2008. “Tax-Exempt Organizations 101: Establishing a New Non-Profit.” National Teleconference Seminar. National Business Institute. Altoona, Wisconsin. September 2008. “Hitting The Bull's-Eye Through Good Governance.” Sir Walter Gun Club, Inc.. Raleigh, North Carolina. September 2008. “Looking Inward, Looking Outward, and Moving Forward.” SALT Block Foundation. Hickory, North Carolina. September 2008. “Echoing Green New Fellows' Conference.” Braintrust Session. The Sanford Institute of Public Policy. Duke University. Echoing Green. New York, New York. July 2008. “How to Keep Tax Exempt Organizations in Compliance.” National Business Institute, Inc. Raleigh, North Carolina. June 2008. “Board Governance: Linking Performance and Prestige.” Duke University’s Certificate Program in Nonprofit Management. Durham, North Carolina. April 2008. “Legal Considerations for Board Governance.” Duke University's Certificate Program in Nonprofit Management. Durham, North Carolina. April 2008. “S.O.A.R.--To Develop a Strong Board.” Duke University's Certificate Program in Nonprofit Management. Durham, North Carolina. April 2008. “Board Governance.” Sandy Run Missionary Baptist Church Apartments, Inc., Jacksonville, North Carolina. April 2008. “Starting a Nonprofit?” Duke University's Certificate Program in Nonprofit Management. Durham, North Carolina. March 2008. “Fundraising--Law and Ethics.” North Carolina State University. Raleigh, North Carolina. March 2008. “Leadership and Decision-making for the Nonprofit.” North Carolina State University. Raleigh, North Carolina. March 2008. “Operational and Board Considerations for the Nonprofit Center.” North Carolina Center for Afterschool Programs' "Synergy 2008: Welcome to the World of Afterschool: Your Passport to Success" conference. Public School Forum of North Carolina. March 2008. Addressing legal and operational issues. “A Board's Eye View.” North Carolina Americorps. Office of the Governor. North Carolina Commission on Volunteerism and Community Service. Raleigh, North Carolina. February 2008. “Board Orientation and Governance.” Country Club Heights, HOA, Inc. Durham, North Carolina. February 2008. “Nonprofit Law and Legal Compliance.” Quality Enhancement for Nonprofits Program. University of North Carolina-Wilmington. Wilmington, North Carolina. February 2008. “Board Governance: Riding Herd” and “S.O.A.R. to Develop Your Board.” Jacksonville-Onslow Board Development & Training Conference. City of Jacksonville, Coastal Carolina Community College, Onslow Civic Affairs Committee, Caring Communities Foundation, and United Way of Onslow County. Jacksonville, North Carolina. January 2008. “Legal and Financial Aspects of Tax-Exempt Organizations.” National Business Institute. Raleigh, North Carolina. January 2008. “Board Governance: Value Added or Commodity?” Commodity Leadership Development Program. North Carolina State University. Raleigh, North Carolina. December 2007. “Creating the Nonprofit.” Small Business Center. Durham Technical Community College. Durham, North Carolina. December 2007. “Board Governance: Linking Performance and Prestige.” Duke University’s Certificate Program in Nonprofit Management. Raleigh, North Carolina. December 2007. “Legal Considerations for Board Governance.” Duke University's Certificate Program in Nonprofit Management. Raleigh, North Carolina. November 2007. “Non profit and For Profit Organizations' Joint Ventures: Oil and Water?” Duke University's Certificate Program in Nonprofit Management. Durham, North Carolina. November 2007. “Expanding the Conversation on Nonprofit Board Development.” Panelist. North Carolina State University Institute for Nonprofits, Philanthropy Journal, and the N.C. Center for Nonprofits. Raleigh, North Carolina. November 2007. “S.O.A.R.--To Develop a Strong Board.” Duke University's Certificate Program in Nonprofit Management. Durham, North Carolina. October 2007. “Challenges for the Entrepreneurial Nonprofit Board.” Law and Business Center for Advancing Entrepreneurship. Western New England University School of Law. Springfield, Massachusetts. October 2007. “Starting a Nonprofit?” Duke University's Certificate Program in Nonprofit Management. Durham, North Carolina. September 2007. “Board Governance and Management.” Myrtle Grove Christian School. Wilmington, North Carolina. September 2007. “Board Governance and Management--How's Your Association Doing?” North Carolina Homebuilder's Association. Charlotte, North Carolina. September 2007. “Board Governance and Management.” North Carolina Society of Hispanic Professionals. Raleigh, North Carolina. August 2007. “The New Age of Corporate Governance for Nonprofit Organizations.” National Business Institute. Raleigh, North Carolina. July 2007. “Legal Issues in Non-Profit Operations.” Association Executives of North Carolina. Chapel Hill, NC. July 2007. “Practical Fun(d) Raising for Boards and Staff.” Association of Fund Raising Professionals. Wilmington, North Carolina. June 2007. “Nonprofits in a For-Profit World.” North Carolina Association of CPAs and North Carolina Center for Nonprofits. 2007 Not-For-Profit Annual Accounting Conference. Durham, North Carolina. May 2007. “Balanced Scorecard and Board Governance.” Wake County Human Services. Raleigh, North Carolina. May 2007. “First Steps to a High Performing Board.” Raymond James & Associates, Inc. Wilmington, North Carolina. May 2007. “Board Governance.” Onslow Caring Communities Foundation. Jacksonville, North Carolina. April 2007. “The Nonprofit and For Profit Organization’s Joint Ventures: Oil and Water?” Durham, North Carolina. April 17, 2007. “How To Keep Tax Exempt Organizations In Compliance.” National Business Institute. Raleigh, North Carolina. March 2007. “Board Governance.” Carolina-Virginias Telephone Membership Corporation. Williamsburg, Virginia. March 2007. “Board Governance: Linking Performance and Prestige.” United Way of Danville-Pittsylvania County. Danville, Virginia. March 2007. “Legal and Ethical Issues in Fundraising.” North Carolina State University. Raleigh, North Carolina. March 2007. “The Girl’s Alright With Me.” (Brief) "guest appearance" with the Temptations and the North Carolina Symphony. Raleigh, North Carolina. February 2007. “Issues in Advocacy and Public Policy.” High Point University. High Point, North Carolina. February 2007. “Board Governance: Linking Performance and Prestige.” Duke University’s Certificate Program in Nonprofit Management. Durham, North Carolina. February 16, 2007. “Legal Considerations for Board Governance?” Duke University’s Certificate Program in Nonprofit Management. Durham, North Carolina. February 15, 2007. “Board Governance: Linking Performance and Prestige.” Duke University’s Certificate Program in Nonprofit Management. Fayetteville, North Carolina. February 2, 2007. “Legal Considerations for Board Governance?” Duke University’s Certificate Program in Nonprofit Management. Fayetteville, North Carolina. February 1, 2007. “Starting a Nonprofit?” Duke University’s Certificate Program in Nonprofit Management. Durham, North Carolina. January 30, 2007. “Exempt Organizations: A Legal Guide.” National Business Institute, Inc., Raleigh, North Carolina. December, 2006. “Board Governance.” The Rotary Club of Morrisville. Morrisville, North Carolina. November 28, 2006. “Records. Read. Retain. Retire.” Web seminar—members only. Small Association Community. ASAE and The Center for Association Leadership. Washington, D.C. November 1, 2006. “To Create A Strong Board—SOAR!” North Carolina Center for Nonprofits. 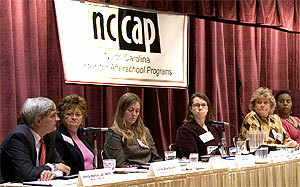 “Beyond Survival: Embracing Change.” 2006 Statewide Conference for North Carolina’s Nonprofit Sector. Research Triangle Park, North Carolina. September 21, 2006. “Building Board Leadership: Making a Difference through Exceptional Governance.” Virginia Hot Springs Preservation Trust. Hot Springs, Virginia. September 7-8, 2006. “Board of Director and Executive Challenges”. South Carolina Association of Nonprofit Organizations. “Educate the Mind; Touch the Emotions; Challenge the Will” Annual Conference. Curbside Consultant. Myrtle Beach, South Carolina. March, 2006. “Effective Board Governance in Nonprofits: An Oxymoron?”. Panelist. Social Enterprise Conference 2006. Harvard Business School and John F. Kennedy School of Government. Boston, Massachusetts. March, 2006. “Creating and Operating the Nonprofit Organization.” National Business Institute, Inc., Raleigh, North Carolina. January, 2006. “Ethics: Just How Old Are You?” Association of Fundraising Professionals—Triangle Chapter. Research Triangle Park, North Carolina. December 2005. “Using the Balanced Scorecard.” North Carolina Center for Non Profits’ “Radical Notions for Common Ground” Statewide Conference. Charlotte, North Carolina. October, 2005. “Developing the NPO Law Practice.” University of North Carolina School of Law. Chapel Hill, North Carolina. September, 2005. “Board Governance: Linking Performance and Prestige.” Duke University’s Certificate Program in Nonprofit Management. Durham, North Carolina. September, 2005. “Developing Your Board At Each Stage”. Association of Fundraising Professionals’ “Donors...Funding Your Future” Statewide Education Conference. Raleigh, North Carolina. August, 2005. “Being a Board Member: How to Add Value to a Nonprofit”. Harvard Business School and John F. Kennedy School of Government. 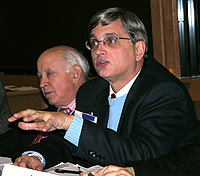 “Conference on Social Enterprise 2005”. Boston, Massachusetts. 2005. “V.I.C.T.O.R.Y. : Leadership in the Non Profit Organization”. North Carolina State University. Raleigh, North Carolina. 2004. “External Accountability: Boards and Fund Raising”. Harvard University Kennedy School of Government. Cambridge, Massachusetts. 2003. “Servant Leadership”. Harvard University Kennedy School of Government. Cambridge, Massachusetts. 2003. “Non-Profit Accountability: Self Governance Constraints and Opportunities”. Harvard University Kennedy School of Government. Cambridge, Massachusetts. 2003. “Hershey: A Chocolate Imbroglio That Melts In Court”. Harvard University Kennedy School of Government. Cambridge, Massachusetts. 2003. “Paving the Way: A Corporate Marketing Strategy for Building Blocks International”. Harvard Business School. Boston, Massachusetts. 2002. “Courthouse KidsCenter: Case Study in the Start Up of a Non Profit Organization”. Fuqua School of Business. Duke University. Durham, North Carolina. 2002. “Performance Measurement and Management: Scoring Your Organization”. Duke University’s Certificate Program in Nonprofit Management. Durham, North Carolina. 2001 & 2002. “North Carolina Court Improvement Conference: No Turf: Collaborating for Permanence”. Conference Planner. North Carolina Administrative Office of the Courts. Chapel Hill, North Carolina. 2001. “Problems in the Schools: Student Accountability Tests and School Suspension”. North Carolina Bar Association’s “Civil Rights on the Cutting Edge” CLE conference. Raleigh, North Carolina. 2001. “North Carolina Court Improvement Conference: Shaping the Change for Children and Families in the Court System”. Conference Planner. North Carolina Administrative Office of the Courts. Raleigh, North Carolina. 2000. “Kids in Trouble: Children in the Legal System”. Conference planner and speaker. North Carolina Bar Association’s “Kids in Trouble: Children in the Legal System” CLE conference. Raleigh, North Carolina. 1996. “Boardsmanship”. Greater Raleigh Chamber of Commerce Leadership Raleigh. Raleigh, North Carolina. 1996-1998. “Criminal Justice in Wake County”. Course Planner. Greater Raleigh Chamber of Commerce Leadership Raleigh 6. Raleigh, North Carolina. 1991. “Any Parent’s Child: A Survey Assessment of Juvenile Needs in Wake County”. Greater Raleigh Chamber of Commerce. Raleigh, North Carolina. 1990.